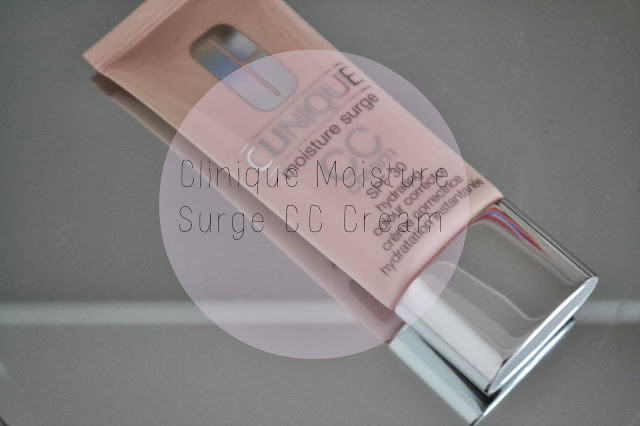 Today I'm reviewing a new addition to my make-up collection, Clinique's moisture surge CC cream. When BB creams came out I jumped on the band waggon and tried out loads of different versions but when the CC cream entered the beauty universe I wasn't too fussed about it. However, when Clinique brought out a CC cream I knew I wanted to give it a try. Now the verdict. The coverage is quite light but it evens out the skin tone and brightens the face. It's one of those products that leave your skin looking like your skin but better so basically it enhances your natural complexion. I recently did a post on illuminating face products and I wish included this as it really adds radiance and brightness to the skin. When first applied to the skin it feels slightly tacky but once blended in this disappears. I find it is much easier to apply with fingers as it spreads and blends easier this way. My favourite thing about this product? It's SPF 30! I can't preach any more about how important it is to wear SPF every day even if it's not particularly sunny - prevention is better than the cure! Therefore I don't have to apply added sunblock as well which means my skin has more room to breathe during the day. Just as a side note - apply sparsely, as it has a pink undertone it can leave the face looking discoloured if over-used. Basically, it's not the kind of product you can build up on your skin in order to get more coverage. All in all my first experience with a CC cream has gone quite well, I now really want to try out some others so if you have any suggestions let me know!